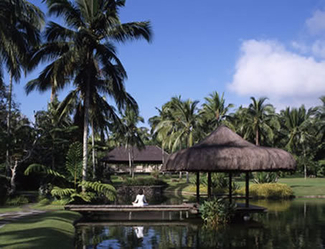 The Farm, the country's own holistic healing and wellness center in San Benito, Barangay Tipakan, Batangas, was named "Spa Cuisine of the Year," while Mandala Spa and Villas in Boracay took home the "Spa Treatment of the Year" award for its "Hilot trilogy," at the recently-concluded Asia Spa awards held at Armani Bar, Hong Kong. The Philippine Tourism Secretary acknowledged the awards, "These recognitions are continued testimony to the excellence of our Philippine spas. The winners and all nominees serve as an inspiration to the entire tourism industry." Presented by AsiaSpa magazine, the region's most recognized spa and wellness publication, AsiaSpa awards gave out commendations in 27 categories, including spa personalities, resorts, associations and products that set the benchmarks in the region. The winners were voted on by 28 independent judges. According to Eduardo Jarque, Jr., undersecretary for Tourism Planning and Promotions, "More than offering a personal journey to wellness through therapeutic treatments and healthful cuisine, our spas celebrate the Philippines as a must-go destination for personal care and relaxation." "We are very proud to support the best businesses in the industry and to give the the recognition they deserve," said Olivier Burlot, managing director of Blu Inc Media, publisher of AsiaSpa magazine.